Police in the central province of Ha Tinh yesterday said that they arrested a man for possession of illegal firecrackers. 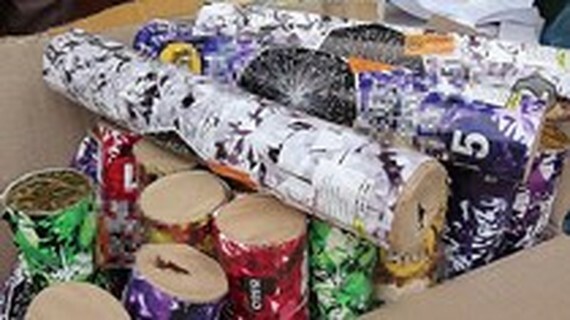 27 year old Nguyen Xuan Dung in Xuan Thuy Commune in the central province of Quang Binh’s Le Thuy District was detained for possessing 31 containers of firecrackers weighing over 43 kilogram originating from foreign countries. He confessed at police station that he paid VND16 million ($689.8) a man in the district for the firecracker the day before and then he moved to Ha Tinh Province to sell. On the day, police in Ha TInh decided to take criminal proceedings against 37 year old Nguyen Van Lich in Duc Chau Commune for possessing and transporting nearly 20 kilogram of firecrackers.